RUSH: James Comey was just on CNN. We’ve got the audio sound bites, we’ll have ’em in the monologue segment of the next hour, and they make me look like a genius in my predictions of what the left and the Never Trumpers are gonna do with this report. You’ll see. You’ll hear coming up. 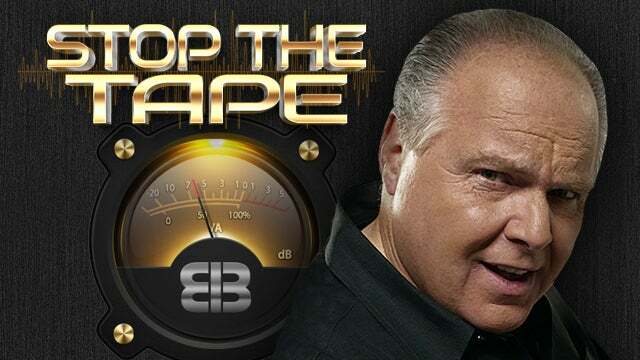 RUSH: Now to James Comey. James Comey was on CNN an hour ago, sat down there for an interview with Christiane Amanpour. And he was being queried about the Mueller report, what ought to happen to it, what it says, what it means, and all of that. And as you listen to his answers to her preguntas, you will undoubtedly see how pretty much everything I’ve warned about and predicted here has become manifestly obvious with his answers. COMEY: Take a look in the mirror and ask what happened to Bob Mueller and the FBI being corrupt and evil and a nest of deep state traitors that they reached a conclusion that the president’s the happy with. Just don’t move from that. Your president tried to burn down the Department of Justice, but second you have fired all of us if we didn’t investigate what we learned in the summer of 2016. When we got smoke, not fire, but smoke that Americans might have assisted the Russian effort, we had to investigate that, and no serious person could think otherwise. Well, that’s not just what we got. We got a report with the inconclusion on obstruction. We got a report that is now said to have all kinds of things hidden in it that Trump doesn’t want to be seen. This has been so well crafted and done on the part of these people. There never was any evidence of collusion! And this business of your president tried to burn down the Department of Justice, but second, you’d have fired us if we didn’t investigate what we learned in the summer of 2016. This is so full of it. He is still maintaining that the FBI was minding its own business one day and then a Trump foreign policy guy, George Papadopoulos, happened to tell the ambassador from Australia that the Russians had 30,000 emails. They still maintain — they’re trying to maintain that that’s when this investigation began. And they’ve got a bunch of fact-checkers that have backed them up on this. That is no way true. This is Comey’s way of saying the dossier had nothing — the dossier was all they had. That was it. Nothing more ever. There was never any evidence of collusion. They were trying to implant spies in the Trump campaign. Stefan Halper was one of them who tried to get hired as a foreign policy adviser to the Trump campaign. Thankfully didn’t get hired. That was a stroke of luck. But this investigation began even before the summer of 2016. But there is still some argument about it, which is why all of this stuff needs to be declassified. We need to find out exactly who decided to do what, when. There are some people that make the case that this project actually began in 2015, the project to keep Trump away, as far as away as possible from the Oval Office in Washington, D.C., by denying him the nomination and then screwing around with the transition and then trying to mess with his presidency as well. But this idea that they were sitting around one day and all of a sudden news came in that the Russians were colluding, what is this? The hacking of the DNC server? Is that what he’s talking about? We don’t know to this day that the DNC server was hacked. They never let the FBI examine it! We don’t know that it was hacked! We don’t know that it was an inside job. “But, Rush, but, Rush, the Podesta emails.” The Podesta emails were because he got hacked — he didn’t even get hacked. It was a phishing attack. Whatever happened to the DNC server is not why Podesta’s emails ended up being public. That answer there is so loaded. And I’ll tell you, virtually everybody in the Washington establishment, most of the Drive-By Media believe this version of things. That the investigation began in July when Papadopoulos told the Australian ambassador that the Russians had 30,000 emails. How did Papadopoulos know it? The FBI hired people to tell him. COMEY: There’s two separate pieces to my reaction to that. The first is yes, it’s a very good thing that the special counsel appears to have concluded there isn’t sufficient evidence to establish that any Americans were part of this effort. That should be good news to you as an American citizen. RUSH: Okay. So it ought to be great news that Trump’s not a Russian spy. But number 25. COMEY: As I understood his mandate it was – was there, what do you know about the Russian interference in 2016 and whether the Americans were involved? I don’t think he looked at the question about is there something about this president’s finances or personal affairs or something that creates a situation where he’s reluctant to criticize Russia? I don’t think that was his mandate. I don’t know the answer to that question. See? Mueller didn’t address whether Trump can be blackmailed. Mueller didn’t find out when Trump’s finances are in any way related to Russia. So you see, because Mueller didn’t say it, it is entirely possible that it happened. This is why I say this stuff is never gonna end. They don’t want it to end, and for every admission they can make that Trump’s not a spy, that Trump is not a Russia agent or asset, but there’s nothing in there that says the Russians don’t have something on him because the special counsel may not have looked into that. Well, why the hell not? The guy was looking at stuff for two years. He had an open-ended mandate. He could go out and hunt for a crime wherever he wanted to find one. Why didn’t he? This is not a hoax. It’s a scandal. And it is the largest I have ever seen my lifetime in politics.